Divyavani TV is happy to extend its services to you. Your Intentions are taken to the Loving Father through the Sacrifice of the Son moved by the Spirit. 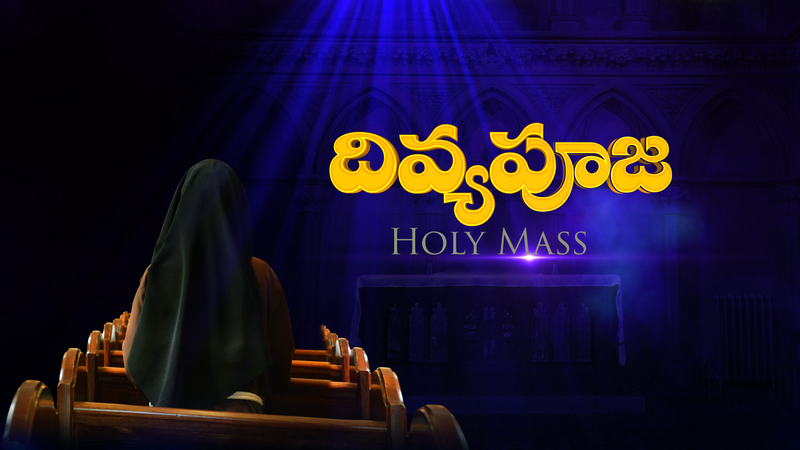 You can reserve The Holy Mass at 6 A.M. or Mass at Noon of any day and it will be aired through Divyavani TV Channel. 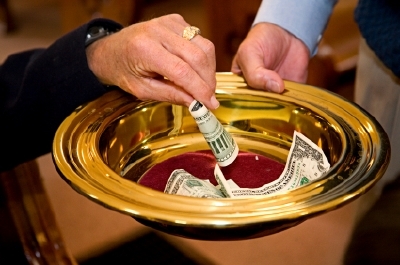 In union with the vast multitudes of the Faithful viewing our Channel world-wide, The Mass will be offered in your name. This way you are facilitating the People of God surrender themselves to HIM in Prayerful Adoration, Gratitude, Praise and Intercession. Help us to extend our Service this way to you through our Divyavani TV Channel. You can avail this Service against the payment of Rs. 1000/-. Online Payment facility is available in this Website. Alternative payment options are IMPS, RTGS/NEFT, D.D., Cheque etc. and in Person visiting our Office and make the payment. 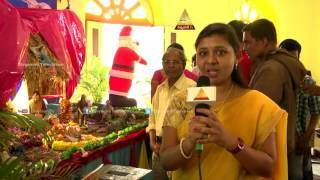 As the last segment in Holy Mass ( Divya Pooja) Program – close to 8.00 am IST. Man is created as the crown of creation. He/She has been blessed with the image and likeness of God Himself. From the moment of conception to reaching the heaven man owes a lot of gratitude towards the Creator. Every moment of his/her life has to be a song of thankfulness to God by celebrating it with family and friends proclaiming to them the marvel of the wondrous handwork of God in his/her persona. Birthdays, Success in Academic pursuits and Awards/Rewards received, Anniversaries of Ordinations, Religious Professions and Weddings, Superannuation, Jubilees, Sastipurthi and Journey to Heaven are the occasions you can celebrate of yours, families and friends through Divyavani TV. Divyavani supports this and provides a platform on its schedule viz. 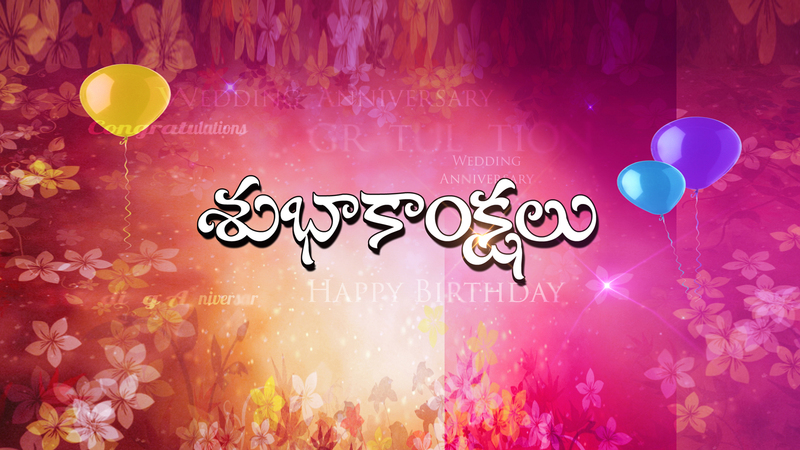 Subhakankshalu and makes the faithful viewing the Divyavani TV join you celebrate the occasion praying for you. You can avail this Service against the payment of Rs. 200/-. Online Payment facility is available in this Website. Alternative payment options are IMPS, RTGS/NEFT, D.D., Cheque etc. and in Person visiting our Office and make the payment. liCome to Me, all you who are weary and burdened, and I will give you rest. (Mt. 11.28)This is an invitation of Christ reverberatedin our ears from the earliest days of our lives. Popular Devotions like Holy Hour, Benediction, Perpetual Adoration, Full Night Vigil and Day of Fasting and Prayer are all come to limelight owing to the Spiritual Vacuum created by the ugly faces of globalisation and consumerism. Faithful are able to respond to the Master’s Call “- Were you not able to keep watch with Me for one hour? (Mt.26.40b) realizing that in HIS courts is better than a thousand outside (cfr. 84.10a). Divyavani TV is happy to extend its services to you. 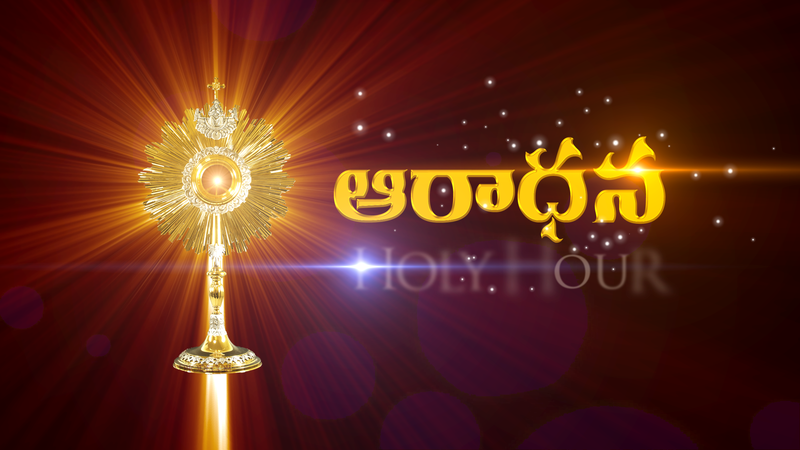 You can reserve The Holy Hour of any day and it will be aired through Divyavani TV Channel. In union with the vast multitudes of the Faithful viewing our Channel world-wide, it will be aired in your name. This way you are facilitating the People of God surrender themselves to HIM in Prayerful Adoration, Gratitude, Praise and Intercession. You can avail this Service against the payment of Rs. 2500/-. Online Payment facility is available in this Website. Alternative payment options are IMPS, RTGS/NEFT, D.D., Cheque etc. and in Person visiting our Office and make the payment. As the last segment in Holy Hour Program – close to 8.00 am IST. Divyavani TV is happy to extend its services to you. Your Intentions are taken to Abba Father through the Powerful Intercession of our Blessed Mother, Mary, Mother of Our Lord and of us all. Our rich tradition holds at the highest helm this popular devotion to the Holy Mother of God. Praying the Rosary is nothing but praying through the life of Christ to the Loving Father who grants us all the Divine Qualities which embodiedin Christ and HIS Heavenly Mother. These are very much needed in our lives to move forward towards heavenly realms. That is why we are very much encouraged by the Church to Pray the Rosary. 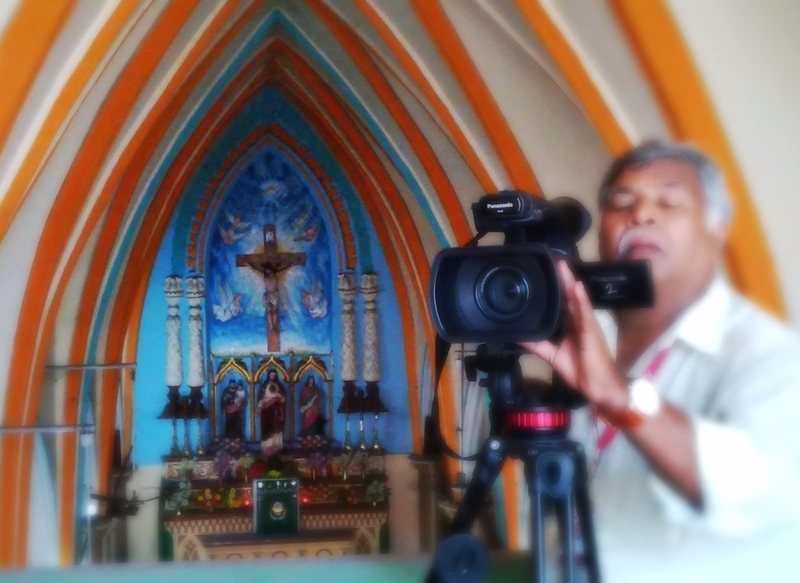 Thank you so much for your magnanimity in coming forward to have this Service rendered to you and through you to the vast multitudes of the Faithful viewing our Channel world-wide, The Holy Rosary will be aired in your name. Help us to extend our Service this way to you through our Divyavani TV Channel. 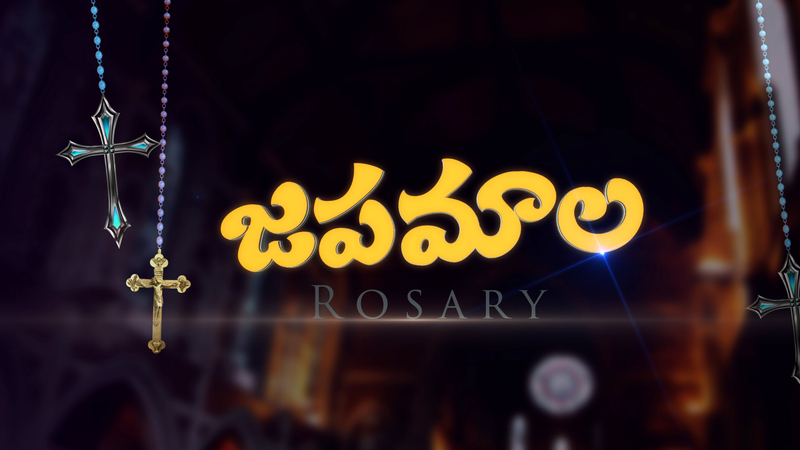 As the last segment in Holy Rosary [Japamaala] Program – close to 8.00 am IST. Be merciful, just as your Father is merciful(Lk. 6.36). At the end we are judged upon the Scale of Mercy. 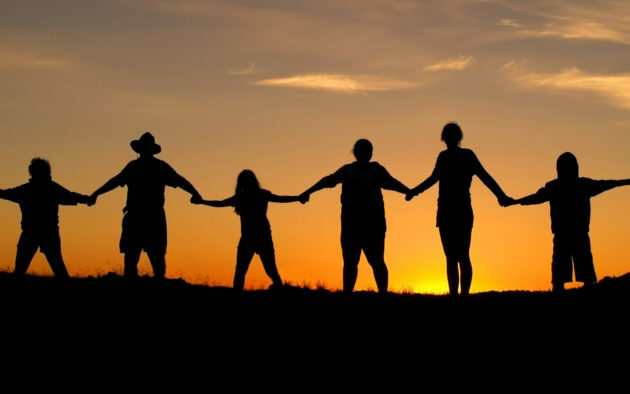 How merciful are we towards the Hungry, Thirsty, Naked, Stranger… is what will decide our position on the Right and Left, to Life Eternal or Everlasting Punishment(cfr. Mt. 25.35ff).St. Mary FaustinaKowalska on September 13, 1935, while in Vilnius, she wrote of a vision of Jesus about the chaplet. St. Faustina stated that Jesus asked her to pray the chaplet and instruct others to do so"....When they say this Chaplet in the presence of the dying, I will stand between My Father and the dying not as the just judge but as the Merciful Savior. "Great is the promise, St. John Paul II in A.D.2001 on the 70th anniversary of the Revelation, established the Devotion to the Divine Mercy imparting his Papal Blessing on all the faithful devotees reciting the Divine Mercy Chaplet at regular intervals revealed in the apparition. 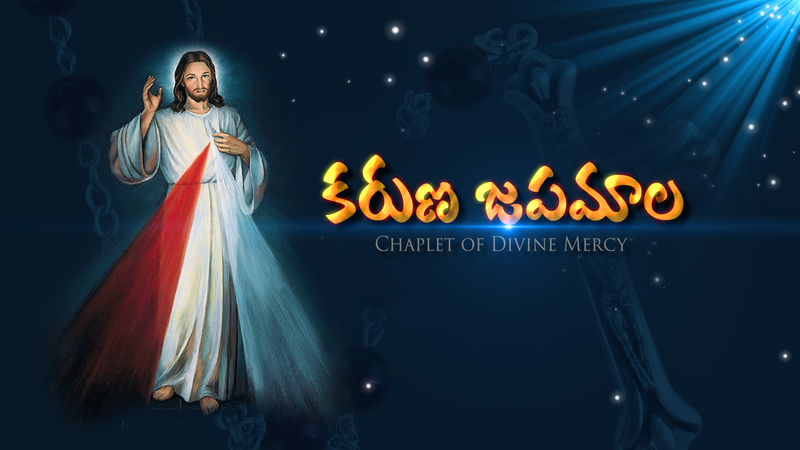 Divyavani supports this Church’s sacred practice and makes the faithful viewing the Divyavani TV pray the Divine Mercy Chaplet. You can be a part of this programme help airing it in your name and thus enabling millions of the faithful pray the Chaplet. “…Woe to me if I do not preach the gospel!” (1Cor.9.16)says St. Paul rightly otherwise what for the speech faculty only the humans are granted in the entire creation. Again it is he who says “Are all apostles? Are all prophets? Are all teachers? Do all work miracles? Do all have gifts of healing? Do all speak in tongues? Do all interpret?” (1Cor.12.29, 30). With the multitasked functions that are to be carried out by different individuals to keep the society going on and for the reasons that the faithful are abled differently, all can’t go about preaching the Word of God. But the Missionary mandate of our Saviour “Go into all the world and preach the gospel to every creature” (Mk. 16.15) has to be carried out by you and me. Divyavani TV invites you be the part of this Mission that the Word of God proclaimed more powerfully in the thoroughly adulterated world with lot of Untruth. 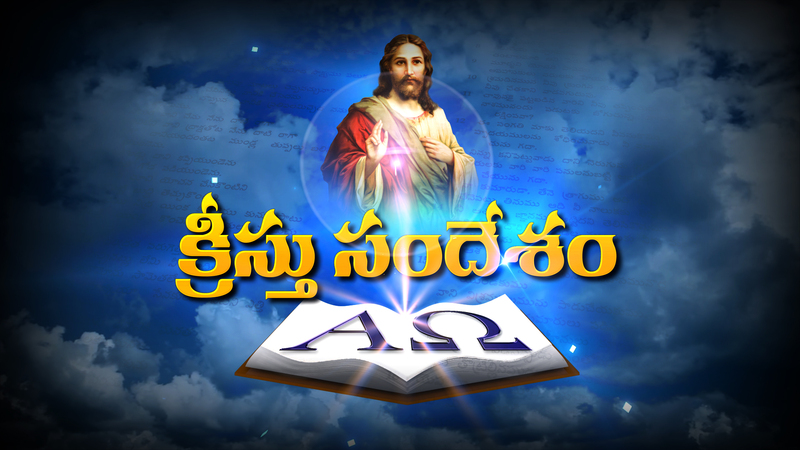 As the last segment in Word of God [Kristu Sandesam] Program – close to 8.00 am IST. As the last segment in Individual Programme - Production Program – close to 8.00 am IST. As the last segment in Individual Programme - Broadcasting Program – close to 8.00 am IST. As the last segment in .............. Program – close to 8.00 am IST. Monthly Prayer Service to daily moments of prayer intended to bring you closer to God.